I guess that sounds a little bit dramatic. Well, it certainly was an unexpected series of unfortunate events. Actually, it was just one – and it ended up with a planned removal of my gall bladder. Two weeks ago, at 2am, I was struck with a writhing pain in my abdomen that left me nauseous and curled in a standard fetal position. I ended up in emergency where I went through a series of tests including x-rays, ultrasound, and then the CAT scan – the white stargate ring that takes your body to another dimension. As the pain subsided thanks to a dose of a pain-killing syrup that happened to be stronger that vicodin, the ER doctor diagnosed me with a classic case of gallstones. Then, to my surprise, I was nearly scheduled for immediate surgery, before I put on the brakes and asked to slow down. Luckily, my case was not serious enough to warrant an emergency surgery. After being discharged, I scheduled an appointment with my personal physician, where he recommended me to a surgeon – who happened to be a top-notch doctor- and according to Yelp – five stars (thank god, you don’t see much of those for doctors…). After reviewing my files, the doc showed me my gallstones on the CAT scan screen, and had recommended to have my gall bladder – an organ that I don’t need to live – removed. The surgery would take about 90 minutes and I’d be out of the hospital by the end of the day – with 4 holes on my body and a without an organ I don’t really need (will post more on the gory details). Now, another thing that makes things interesting is that I’ll be flying to France for LeWeb where I’ll be tending to a Seesmic booth, and then heading to Bucharest to meet with our coworkers at our office. Fortunately, the doctor shared that the recovery time from surgery is expected to be enough for me to fly out to Paris. We’ll definitely see. 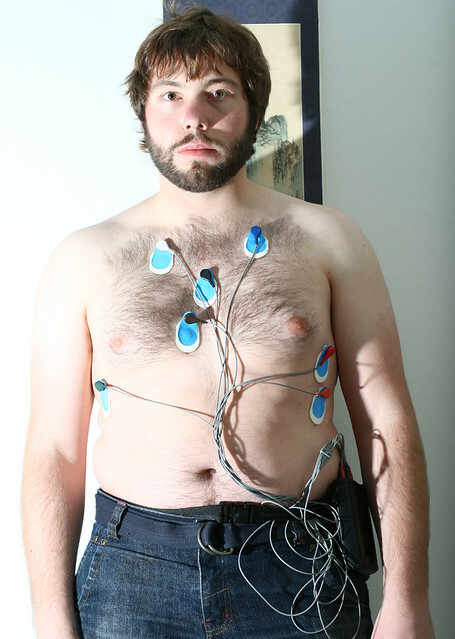 Update: So the EKG was pretty easy – as Nathanael Boehm mentioned – 15 seconds – got the results with a sheet of paper of a bunch of squiggly lines. A precautionary monitor of your heart. Should be fine. This entry was posted in Personal and tagged health, surgery by jyamasaki. Bookmark the permalink. Thanks, purely precautionary and standard for pre-op. It just took 15 seconds. Thanks! Oh god I didn’t knew that! I really hope that everything will be fine! Good luck yama! it was in the notes in one of my status emails 🙂 thanks! Hope you get well soon. It is never fun, but you got to take care of your self. Good to hear this wasn’t worse news! I hope your recovery is quick and you get back to being a rockstar in no time. Thanks, Jeremiah – you’re awesome! Wow! Good luck with the surgery & Le Web. That sounds like a rockstar maneuver to pull off. First and foremost, it’s good to hear you’ve got a good surgeon and will be in good health. My good thoughts and prayers are with you, Yama! I hope all goes well and you have a fast recovery! Sorry you have to go through that. Another person I know just had the same surgery very recently actually and she seems to be doing fine now. Good luck, Yama. Sorry to hear this and wish you the best. Thanks for the well wishes, all! You’re all awesome. Oh Yama! You’re so loved by everyone! Best of luck tomorrow! ❤ ❤ ❤ you lots!